What’s the Price for the 2018 Mitsubishi Eclipse Cross? How Many MPG Does the 2018 Mitsubishi Eclipse Cross Get? What’s New for the 2018 Mitsubishi Eclipse Cross? While the Mitsubishi Eclipse has been a popular sports car in the automaker’s offerings for many years, the Eclipse Cross gives drivers a completely unique experience. The Eclipse Cross has a similar name as the sports car model, but it notably is completely different in design. The Eclipse Cross is a five-door compact crossover SUV that has a sport edge to its design. Unlike the larger Outlander SUV that has three rows of seating, the Eclipse Cross has two rows of seating and has space for five adults. The 2018 model year is this vehicle’s introductory year, and it is understandably met with great anticipation by SUV shoppers. The exterior design has a prowling look with a profile that sharply angles downward toward the front. Its rear end is noticeably chunky and pronounced, and the back window has two panels for a unique look. The only powertrain option available for this introductory model year is a turbocharged I4, 1.5-liter engine with direct fuel injection and a continuously variable automaker transmission. When you visit Carriage Mitsubishi to get to know more about this new vehicle, you can explore the interior to learn more about its features. One innovative feature in the 2018 Eclipse Cross that makes it a standout in its class is the Remote Touch Interface for the infotainment feature. This is a mouse-like controller that gives you easy access to the climate control, sound system, Apple CarPlay and Android Auto features. It also comes with a CONNECT app that gives you control over some features via your smartphone, a heads-up display, an optional panoramic sunroof, heated front seats, powered seat adjusters, power windows and door locks, LED daytime running lights, a seven-inch color touchscreen, Bluetooth and a rearview camera. At higher trim levels, your new Mitsubishi Eclipse Cross may have Super All-Wheel Control, 18-inch black wheels with a black grille, blind spot monitoring, a rear cross traffic warning, leather seats and lane changing assistance. Because this is a new vehicle for the 2018 model year, you should make plans to stop by Carriage Mitsubishi soon to check out all of its features in person before you decide which SUV model and trim to purchase. Our service-oriented and knowledgeable sales team at Carriage Mitsubishi is excited to tell you more about all of the exceptional features loaded into different trim levels of the Mitsubishi Eclipse Cross. We can also show you some of the options and packages that are available during your test drive visit. You may have numerous questions about this new model, and we have the knowledge and insight that you need to make a quality decision about which SUV to purchase soon. Many of our customers are pleasantly surprised to enjoy a hassle-free buying process when they make their purchase with us. Rest assured that we are focused on your complete satisfaction throughout all aspects of your buying experience with us. We go to great lengths to help you find a vehicle that is loaded with all of the features that you are looking for. 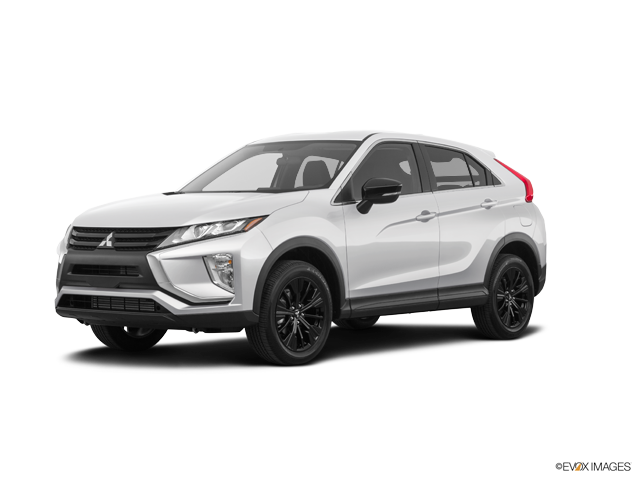 To request more information or to set up an appointment with our team to check out the 2018 Mitsubishi Eclipse Cross in person, contact our office today. * Manufacturer’s Suggested Retail Price for 2018 Eclipse Cross ES 2WD is $23,295. Excludes destination/handling, tax, title, license etc. Retailer price, terms and vehicle availability may vary. See your Mitsubishi retailer for details.